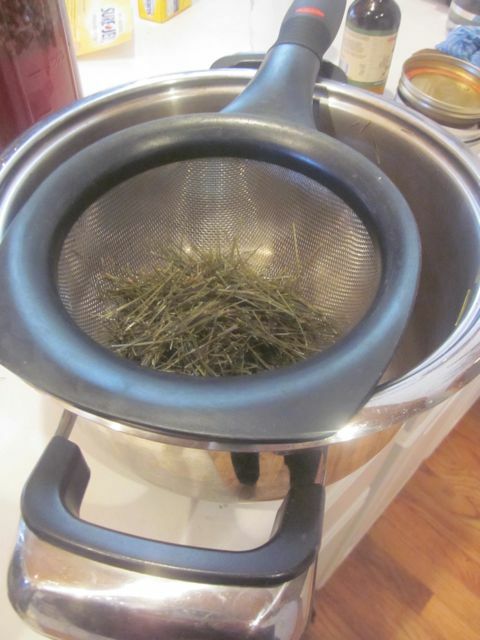 Use fresh or dried pine needles to make the tea. 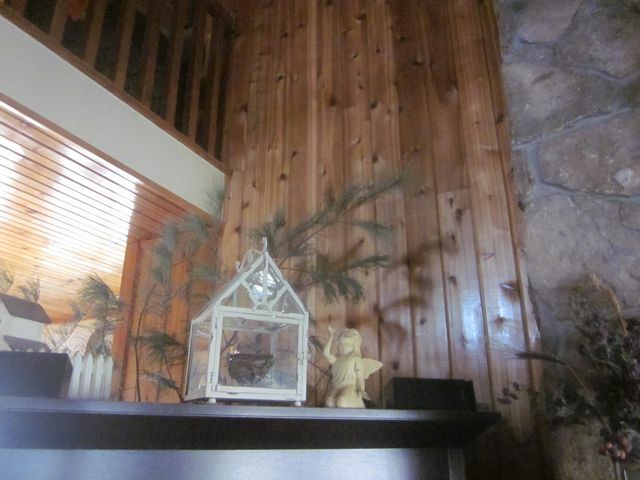 I just happen to have a pine tree branch (quite large) in my kitchen…doesn’t everyone? I like steeping the needles after they have dried they seem to be tastier and infuse better that way. 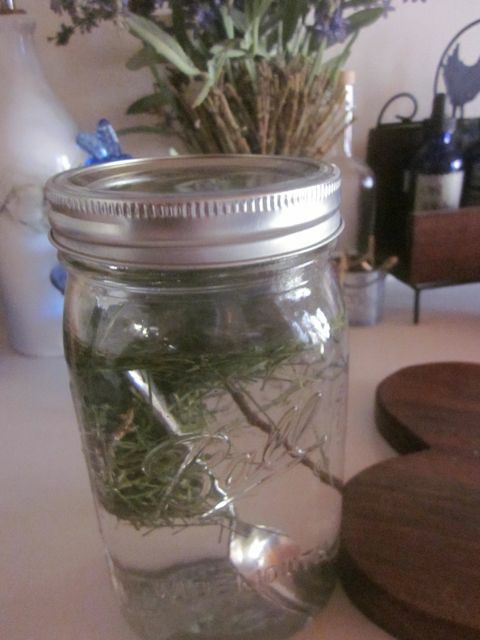 Fill a mason jar with an ounce or so of dried plant material, in this case Pine (chop or cut the needles to break apart cell walls to exude more of the plants goodness), I always place a spoon in the jar to keep it from breaking when the boiling water is added in. Always cap the tea quickly to capture all of the plant essences. Let steep for a minimum of 5 minutes for a gentle tea and up to all night for a strong ‘infusion’ (which is more of a medicinal tea). With Pine I let it steep for about 30 minutes. 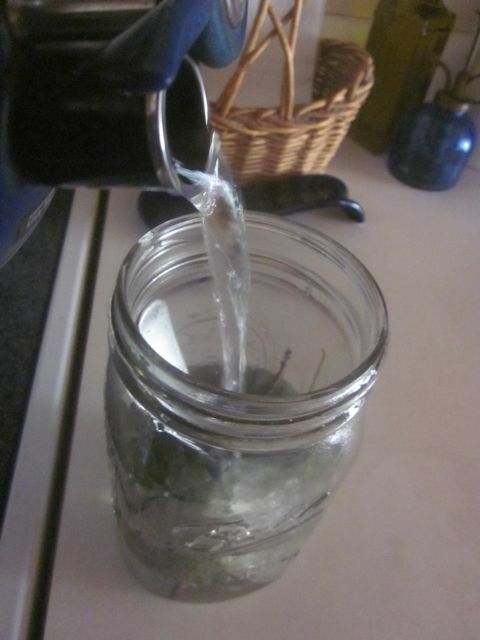 Add more plant material if you want a stronger taste. Then strain off the plant material. 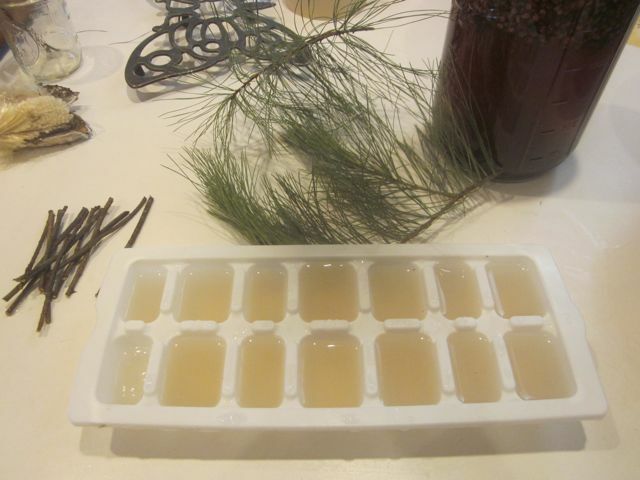 Pour Pine tea into ice cube trays drip a drop of Stevia in each cube for a natural sweetener (or you could have added it in the tea before, honey is also an option) and freeze for about 40 minutes. At this point poke a Pine twig into the partially frozen iced cube so they’ll stick up straight when frozen. 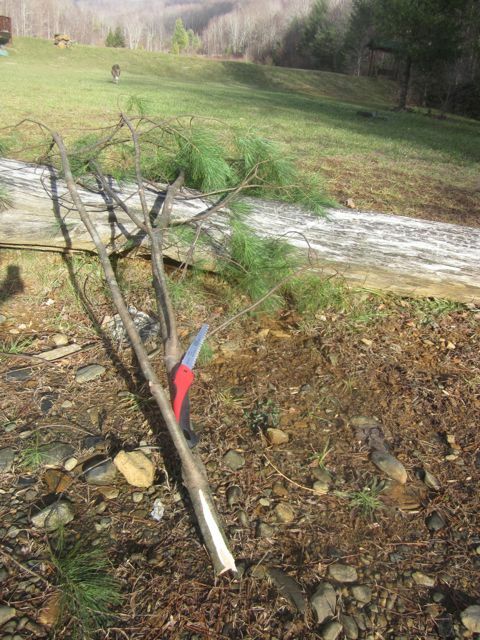 I sawed down this rather large Pine branch from a tree at the Cattail swamp last Fall. It has graced my kitchen every since. 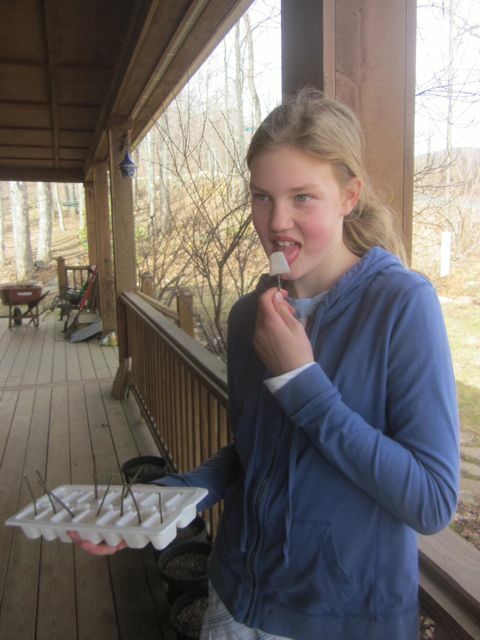 I nibble off it often.